Can people really be considered friends if it feels like work to be with them? I don't think so, the people I enjoy spending time with the most are easy to be with, it takes very little effort. My friends and I can pick up right where we left off even it it has been a long time since we have been together. This is my idea of friendship! So what about the people in our lives that require great effort in order to remain close - do they still count as friends? The dictionary defines it like this. Friends: a person attached to another by feelings of affection or personal regard. This definition makes friendship sounds extremely easy. I think people throw the word around too carelessly calling everyone a friend that they cross paths with more than once or twice. To be friends with someone is costly at times, requiring investments of time and care. 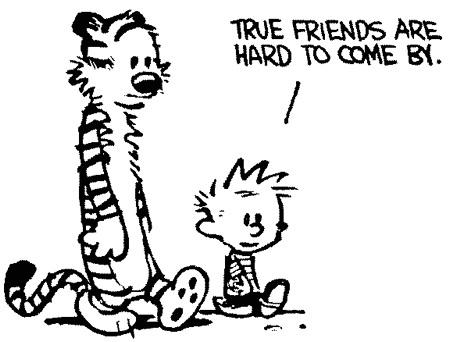 That is why we can only have a handful of true close friends. A small circle of friends is what God has designed for us. This circle does not bring exclusion to those outside the circle, it instead allows those in the circle to support one another so completely that it's members are able to reach out and extend help to others knowing they themselves will be cared for and supported in anyway they have need. The handful of people that I get to do life with, give me the confidence I need to move forward knowing even in failure I can return to their un-waivering love. 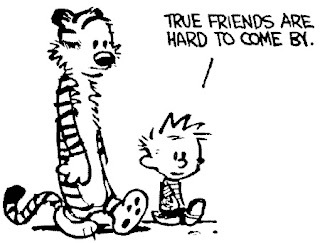 Now that's friendship!